Running is just one of the many sports out there that have a number of health benefits. It’s also something that you can do at your own pace. If you haven’t convinced yourself to start running then maybe we can help change your mind! We’ve compiled 5 reasons below on why you should start running — NOW! According to Sabrina Rogers-Anderson, if you want to shed kilos, pick up the pace. In 30 minutes, a 60-kilo woman burns about 287 calories running at 10 kilometres per hour and about 96 calories walking at five kilometres an hour. A study from the University of South Carolina discovered that regular moderate exercise increased a person’s immunity. The participants were found to have less chances of catching the common cold and other upper respiratory tract infections by 20 percent. Also, running regularly improves your cardiovascular health. There was a study done in 2002 at the Harvard School of Public Health and they found that people who ran for at least an hour each week had a 42 per cent lower risk of coronary heart disease than those who did not run. Regularly running helps increase the elasticity of your arteries! The more elastic your arteries are, the less likely you are to get high blood pressure and heart diseases. Did you know that you lose about one percent of muscle mass each year after you turn 30? According to researchers at Tuft’s university in Boston, fat will start taking over your body unless you maintain muscle by doing regular exercise. Running can help by strengthening your legs, back and abdominal muscles. 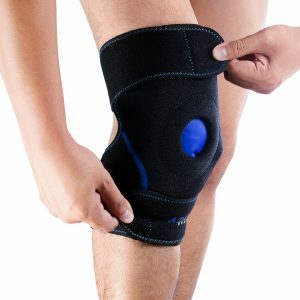 A lot has been said about how running will damage the bones in your legs and your knees as well but contrary to popular belief it actually helps in increasing bone density. Running also helps decrease your risk of osteoporosis. Did you know that a running stride puts around 11 times more force through your leg than walking? With this force your bones will ‘remodel’ itself to withstand it. Running, among the many other exercises, stimulates endorphins. These endorphins interact with parts of your brain and it reduces your perception of pain. If you have family or friends that experience something called a “runner’s high”, this is an exhilarating or euphoric feeling you get after a good run or exercise due to the endorphins that are released while running or exercising. This will result to a more positive outlook on life, yourself, and every one else. It’s a chain reaction! …Obviously, running is an exercise that has physical and emotional benefits! So what are you waiting for? Grab your running shoes and hydration belt, and get out there! 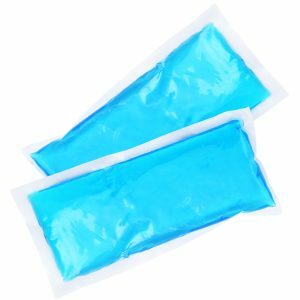 Don’t own a hydration belt? It’s a must for running in order to keep hydrated. 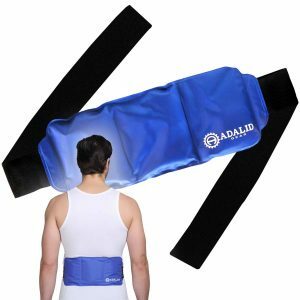 Come and check out our Adalid Gear Hydration Belt at our storefront — now on SALE!